This fact tells us that the types of butterflies that any visitor to Vermont will see is highly dependent on the area they visit. This introduction to Vermont butterflies provides a list of the species organized by family, and by extension color. Space limitation mean only some of the butterfly pictures and be included. 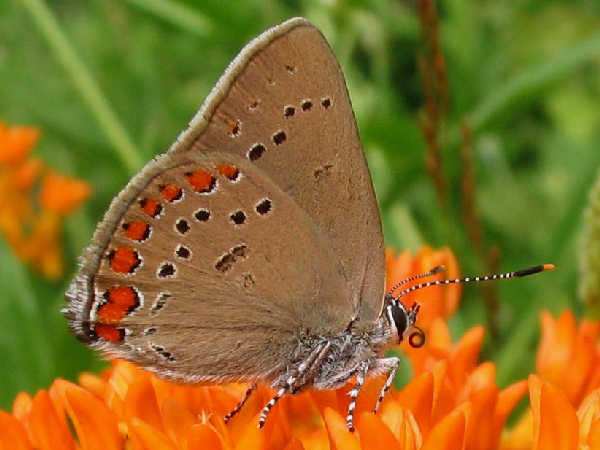 They start at the top of the page with the Monrach butterfly, the great migratory butterfly and official state butterfly of Vermont. Visitors looking for additional butterfly pictures and identification help can press the green butterflies button. Pieridae is the formal name of the family that consists of the butterflies with white wings and yellow wings. 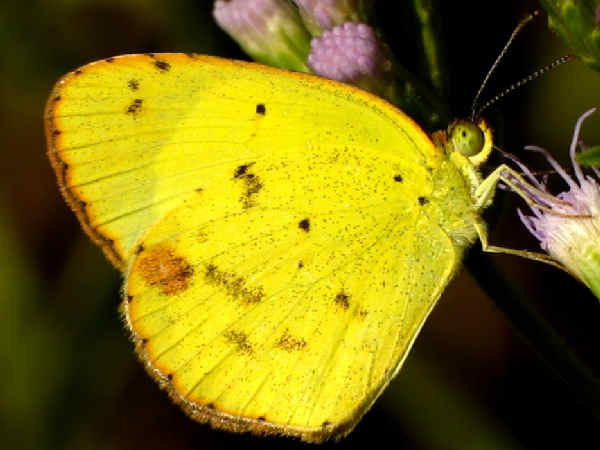 Most states in the North have more of the yellow butterfly species. Orange Sulphurs and Clouded Sulphurs have a state wide distribution in Vermont. Occasionally Pink-edged Sulphurs are found. The picture shows a Little Yellow Butterfly. Have you seen it in Vermont. It is a very rare stray and finding one is a great catch. The south part of the state is the best place to see all three white butterflies. The West Virginia White is no found in the north. Every residential neighborhood in Vermont has Cabbage White butterflies. Their larvae consume leaves in the cabbage family, very popular garden vegetables. Males have one spot on each wing. 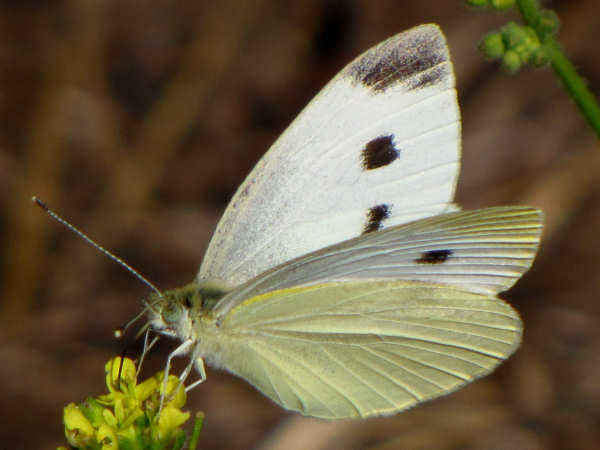 Females have two spots per wing. Vermont gossamer wing butterflies have a nice balance between the blues, hairstreaks and coppers. The picture shows a Coral Hairstreak. They tend to live around fields, especially those with milkweed. Notice also that they are one of the hairstreaks that actually lack a hair like appendage at the bottom of the wing. 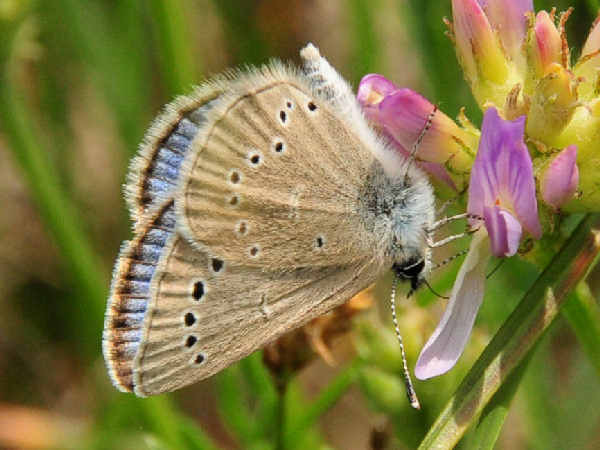 Compared to northern tier states in the Northwest, there are very few species of blue butterflies in New England states. The five blue butterflies in Vermont are widely distributed across the state. The picture shows a Silvery Blue. It helps with two different identification paths. From a top down view of the wings, they can be identified by a dark border and white fringe. The side view shows the black spots surrounded by white circles. Vermont has a nice collection of the brush footed butterflies. 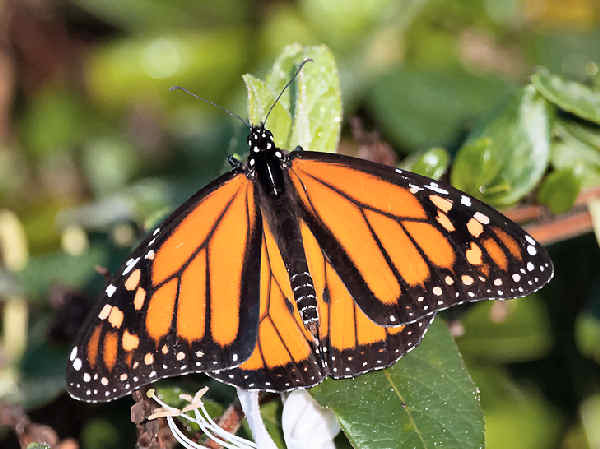 Many are initially recognized by their orange wings as they ply through the local neighborhood back yards and parks. With the exception of the Variegated and Regal Fritillaries, the Fritillary butterflies are present state wide. 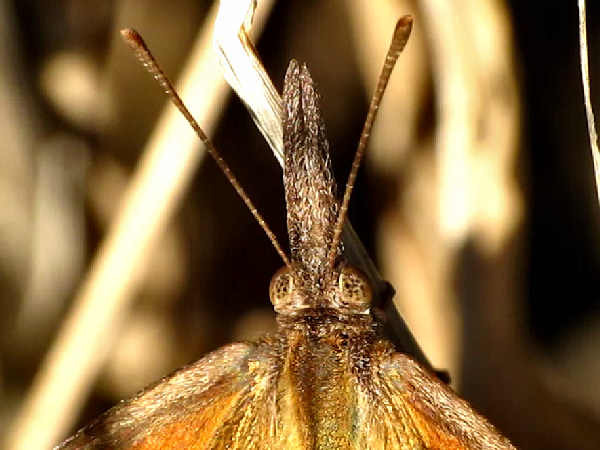 Many people who don’t look closely at butterflies might mistake the American Snout. As the picture shows, it has a one of a kind set of long labial palps at the top of the head. They migrate north during the season, and their presence in Vermont depends on weather conditions during the southern breeding season. Speaking of migratory butterflies, Vermont also get visits from three of the migratory Vanessa species, the American Lady, Painted Lady and Red Admiral. They fly north during the breeding season and return to the south for the winter. The picture shows an American Lady. 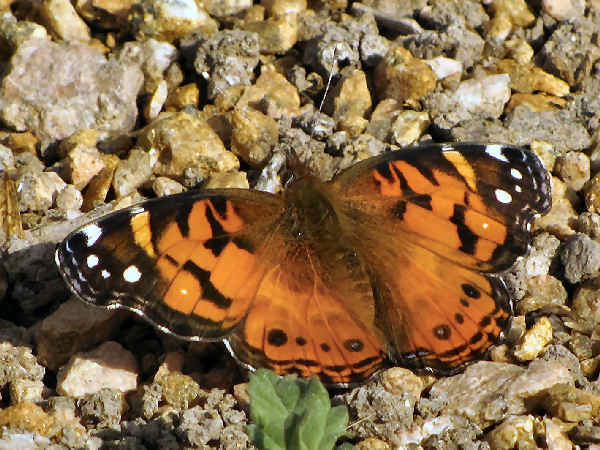 The small white dot on the orange rectangle in the top wing is a good clue to differentiate it from the Painted Lady. Canadian and Black Swallowtails are them most common in Vermont. 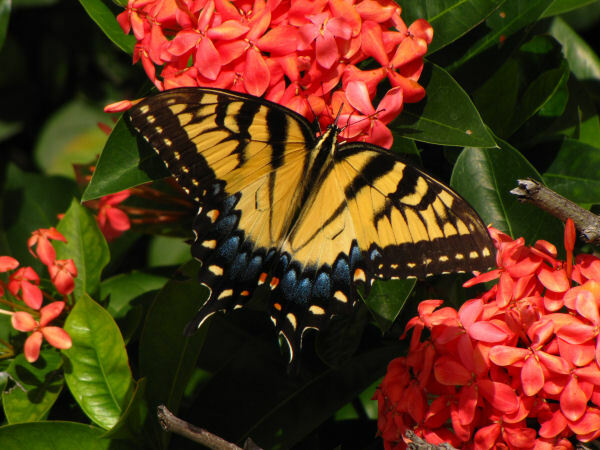 The picture shows an Eastern Tiger Swallowtail. They have more of a presence in the south than the north. Another interesting fact is that some females have a dark form.